Milan Pavkov marked his first Champions League start with two goals inside 29 minutes - his first in European football - to condemn Jurgen Klopp's side to a third-successive away defeat in the competition for the very first time. Daniel Sturridge missed a gilt-edged chance to fire the visitors into an early lead and Andrew Robertson and Mohamed Salah saw efforts strike the woodwork in the second half, but Pavkov's double sealed Red Star their first win of the campaign, and first ever in the Champions League proper. The result, paired with Napoli's 1-1 draw with PSG, leaves Liverpool second in Group C with six points. They are below leaders Napoli on their head-to-head record and a point above PSG, while Red Star are fourth with four points. 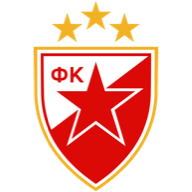 Red Star Belgrade: Borjan (7), Stojkovic (7), Savic (8), Degenek (7), Rodic (7), Srnic (7), Krsticic (7), Jovancic (7), Nabouhane (8), Marin (8), Pavkov (9). Subs: Jovicic (5), Causic (6), Gobeljic (6). Subs: Gomez (5), Firmino (5), Origi (n/a). Man of the Match: Milan Paktov. Red Star boss Vladan Milojevic ramped up the importance of the game not only to his side but the Serbian nation ahead of kick-off. It was clear that message resonated with his players. Only the domineering physical presence of Virgil van Dijk prevented Red Star, buoyed by a partisan home crowd, from applying relentless pressure in a testing opening spell for the visitors. Marko Marin and Red Star captain Vudajin Savic were able to get shots away on Alisson's goal before the quarter-hour mark, yet for all of their dominance, the first clear chance fell to Liverpool. Sadio Mane's cutback was helped on by Adam Lallana to Sturridge at the back post, but the forward, restored to the starting line-up, failed to vindicate his selection as he blazed over from six yards. Liverpool make three changes following Saturday’s 1-1 draw at Arsenal. Daniel Sturridge, Adam Lallana and Joel Matip were all recalled by Jurgen Klopp, with Roberto Firmino, Fabinho and Joe Gomez dropping to the bench. Liverpool were made to pay for that miss within five minutes as the unmarked Pavkov rose high to power a header past Alisson and Red Star into the lead. Pavkov's first goal in European football was quickly followed by his second. After James Milner relinquished possession, the striker fended off Georginio Wijnaldum before unleashing a crisp 25-yard drive that flashed through fingertips of Alisson after a miscalculated dive. Lallana saw a header deflect wide on 33 minutes and, five minutes into the second half, Mane should have halved the deficit with a toe-poke that was blocked by Savic. Robertson saw a cross deflect onto the Red Star crossbar on 56 minutes before Salah's instinctive volley clipped the outside of the post as Liverpool pushed for a route back into the game. Salah was denied from an acute angle by goalkeeper Milan Borjan before Van Dijk saw a header land of the Red Star goal, but Liverpool's comeback never gathered real momentum on another disappointing foreign outing. Liverpool have lost three consecutive Champions League away games for the first time in their history. 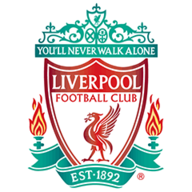 Crvena Zvezda have won both of their European home matches against Liverpool, also winning 2-1 in October 1973 in the first leg of a Last 16 tie in the European Cup. Liverpool have lost two of their last three Champions League group games (W1), as many as they suffered in their previous 11 combined (W4 D5 L2). Liverpool's first shot on target of this match came in the 71st minute. The Reds failed to land a shot on target in their other away game in the competition this season vs Napoli. Crvena Zvezda's Milan Pavkov became the first Serbian player to net a brace in the Champions League since Aleksandar Prijovic for Legia Warsaw vs Borussia Dortmund in November 2016. With Van Dijk in imperious form in the opening exchanges, Pavkov looked to have his work cut out. But having broken the deadlock, and his duck in European football, with a bullet header, the big front man put the game beyond Liverpool with a special strike. Red Star's first win the Champions League since its inception will live long in the memory, thanks in no uncertain terms to the performance of Pavkov. Liverpool host bottom-of-the-table Fulham at Anfield on Sunday (midday) in their final Premier League game before the international break.